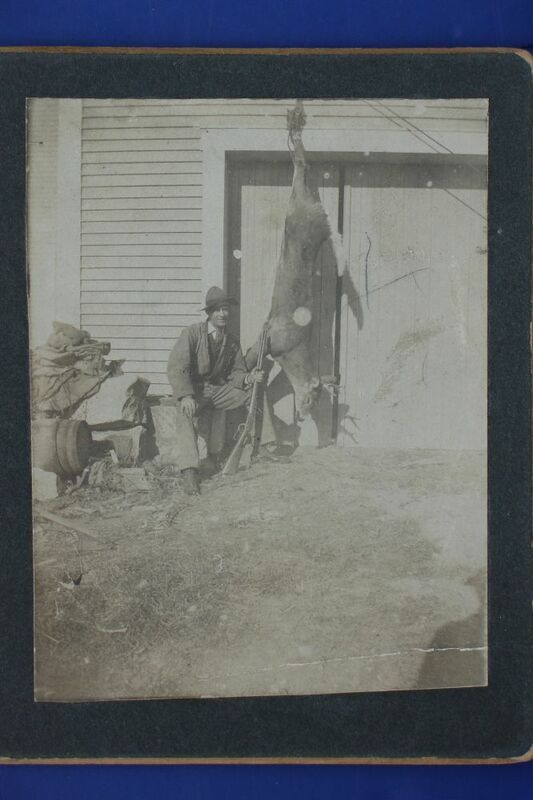 This is an early 20th century photograph of a proud hunter posing in front of his barn with a whitetail buck and a Model 1894 Winchester rifle. If you look closely, you can see what appears to be a tang sight and a lot of original blue remains on the frame. 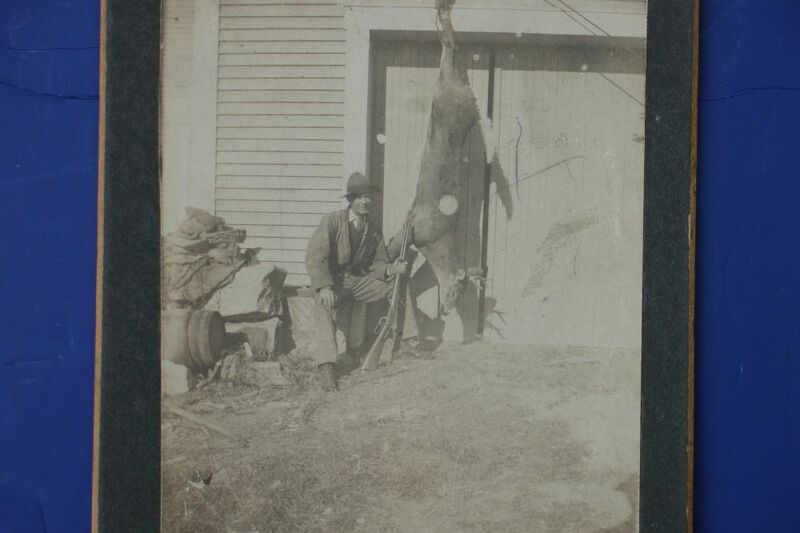 I've always hear that the Model 1894 and 94 Winchester is credited with taking more deer in North America than any other rifle but when you see a photo like this, it really hits you just how popular this rifle was even long before most of us were even born. Photo is in good condition with a couple of small spots that are bleached out. Measures 3.25" x 4.25" and mounted on a thick black cardboard matte. There is a slight crease in the matte that shows up just slightly at the extreme bottom of the photo. A nice photo of an early 1894 Winchester and its original owner.